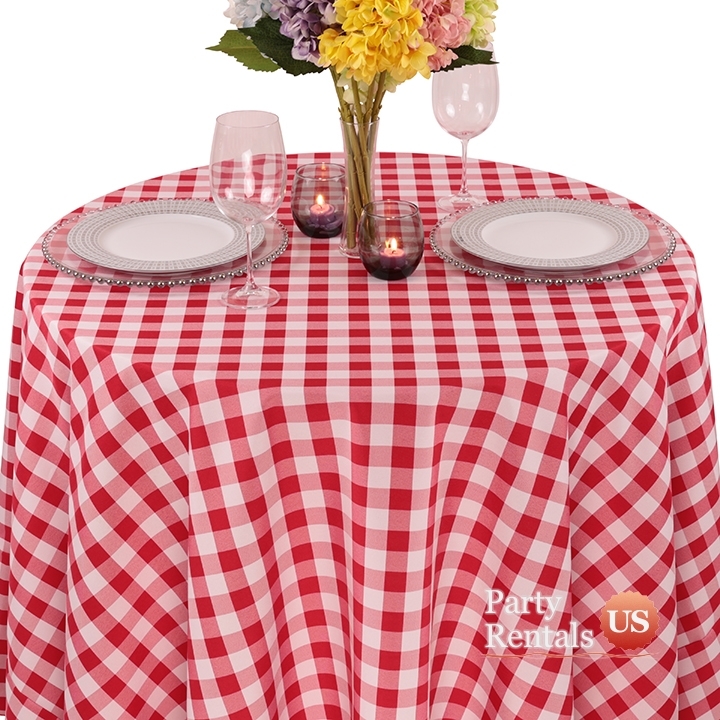 For your next barbecue or casual celebration, consider our traditional "Colored Print Check Tablecloth." It is a great way to add a touch of whimsy to your celebration. Our variety of color ensures that you will find something that blends with your decor.